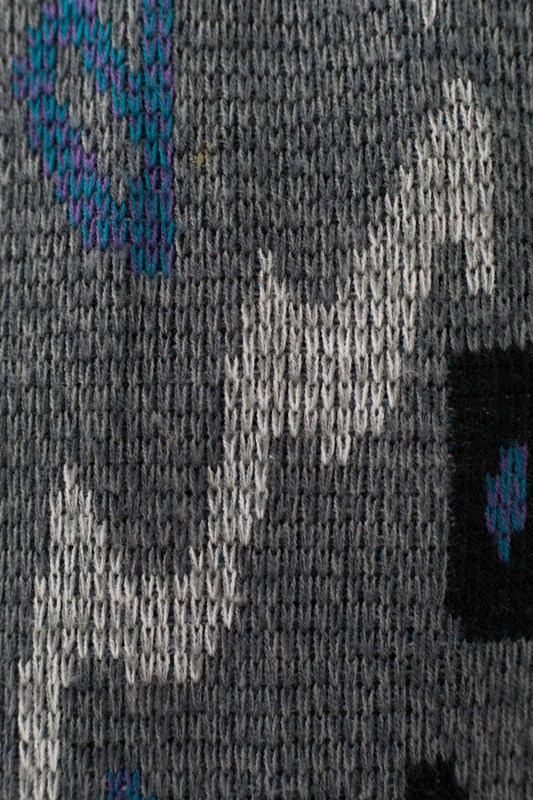 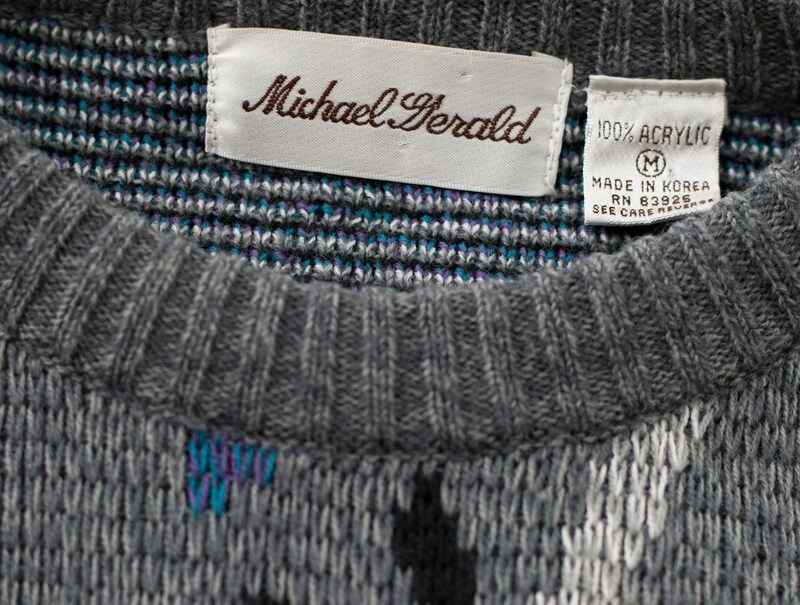 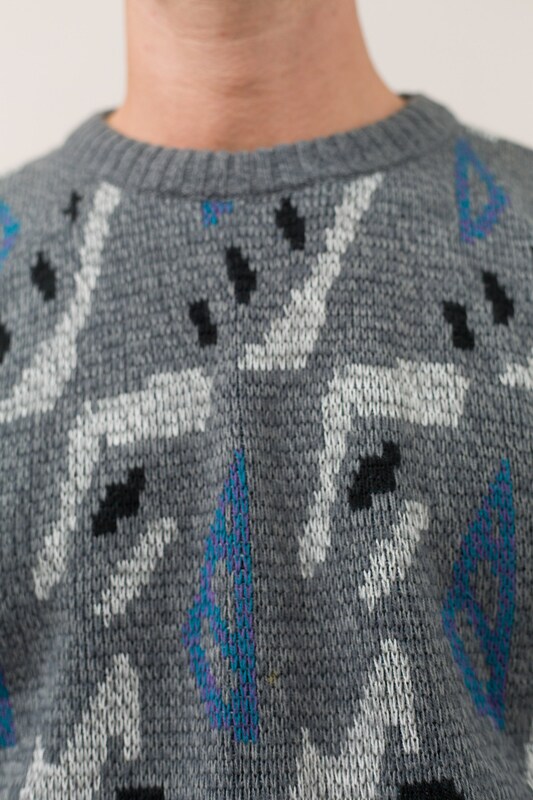 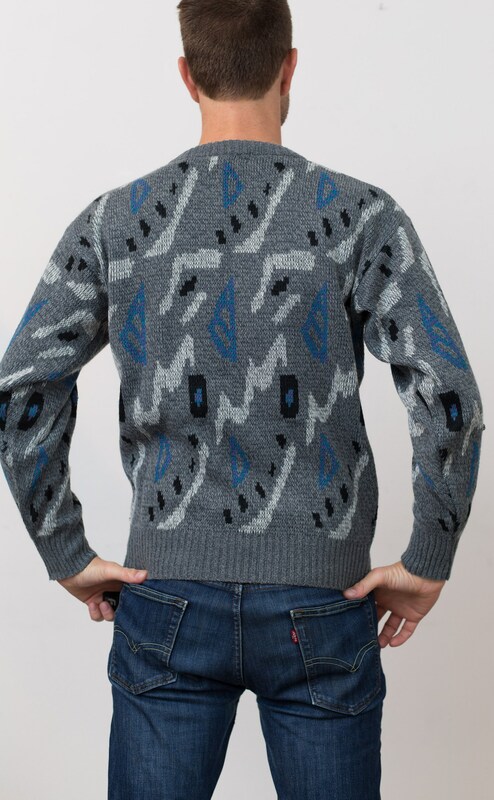 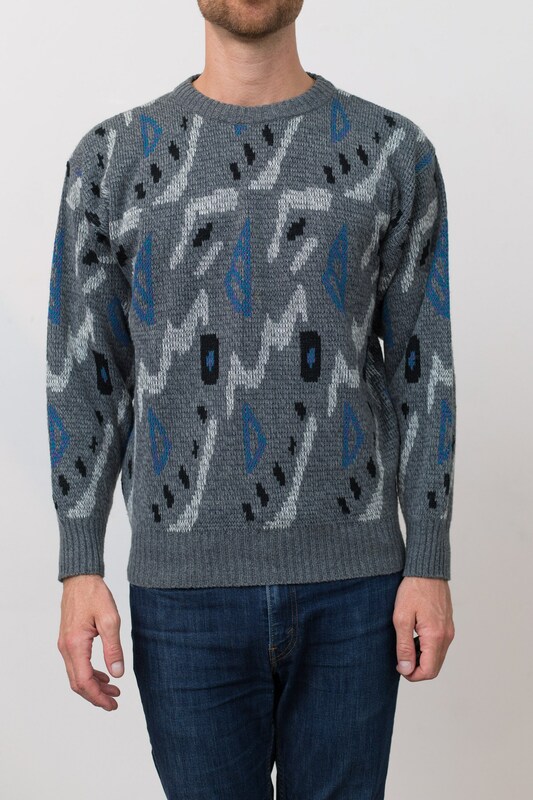 This is a great vintage medium size grey knit pullover with a geometric patter wrapped around. 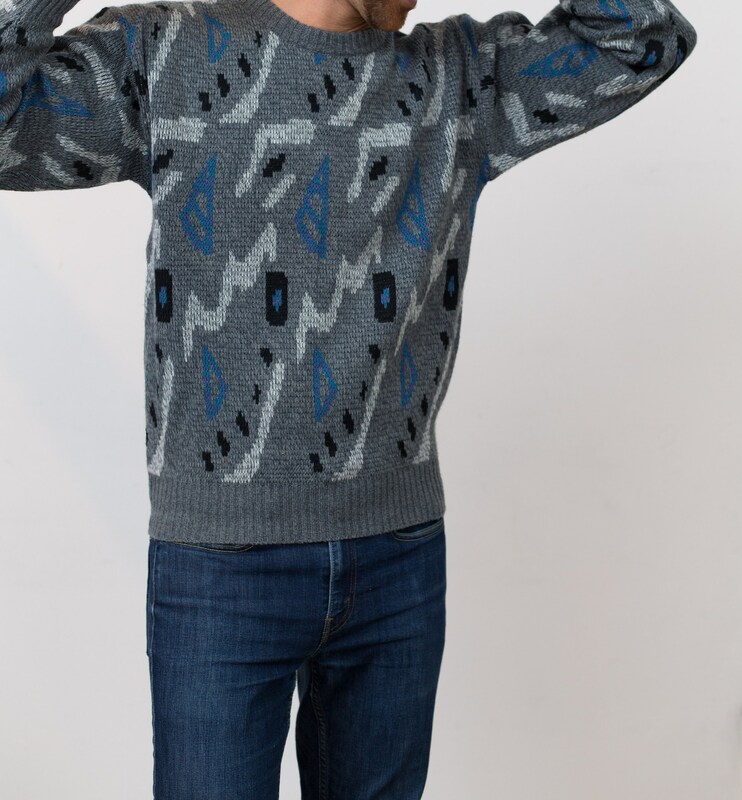 Size: Small (model wears medium). 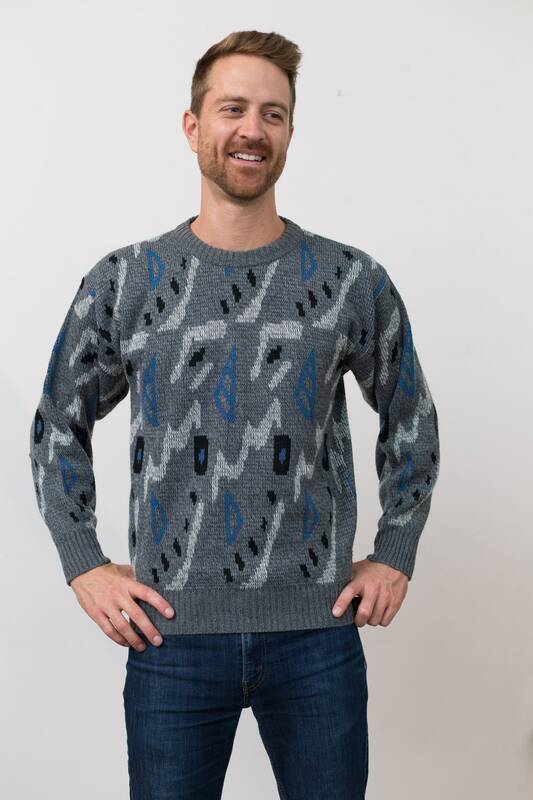 Fits Like: Women's medium, men's small. 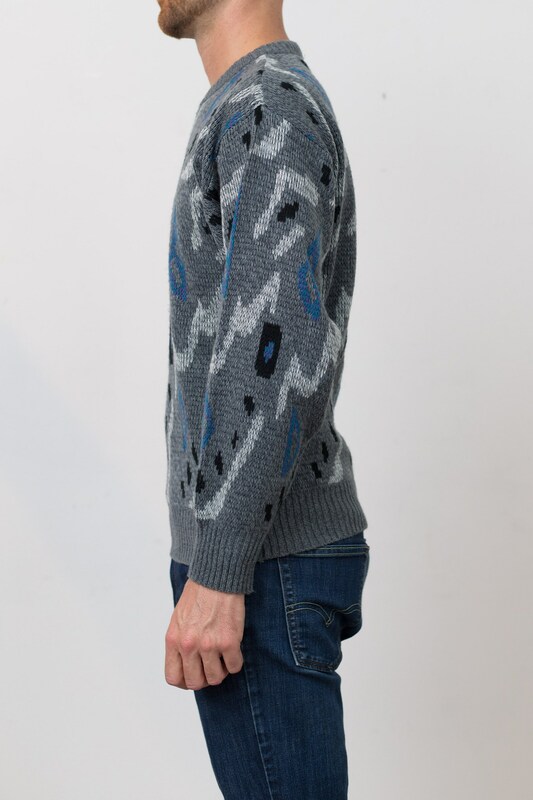 Length from neck seam to bottom of sweater: 25.5"
Sleeve length (top shoulder seam to cuff): 21"